Brick Township Municipal Court – DWI, Reckless – Dismissed. Keyport Borough Municipal Court – DWI and Refusal dismissed. Sayreville Municipal Court – DWI & Refusal Dismissed! Shared Municipal Court of Eatontown, Monmouth Beach & Tinton Falls – DWI-Drug, Possession Marijuana – Dismissed! Sayreville Municipal Court – DWI & Failure to Maintain Lane Dismissed. Seaside Heights Municipal Court – DWI and Failure to Maintain Lane Dismissed. Lakewood Municipal Court – DWI Dismissed. Elizabeth Municipal Court – DWI,Reckless Driving – Dismissed. Highlands Municipal Court – Failure to Display Insurance – Dismissed. Little Falls Municipal Court – Reckless Driving, DWI – Dismissed. Middletown Township Municipal Court – Failure to Maintain Lane, DWI – Dismissed. Plumsted Municipal Court – Reckless Driving, DWI – Dismissed. Tinton Falls Municipal Court – Reckless Driving, DWI – Dismissed. Old Bridge Municipal Court – Refusal. DWI and Reckless Driving Dismissed. Cranbury Municipal Court – Refusal, DWI – Dismissed. East Orange Municipal Court – Prohibited Parking. DWI Dismissed. Hamilton Township (Atlantic County) Municipal Court – Failure to Display Insurance Card, DWI – Dismissed. Toms River Municipal Court – Careless Driving, DWI – Dismissed. Sayreville Municipal Court – Reckless Driving, DWI – Dismissed. Raritan Township – Improper Parking & Harassment Dismissed. Andover Township Municipal Court -DWI & Failure to Park Off Roadway Dismissed. Hightstown Municipal Court – Obstruction. DWI & DWI-School Zone Dismissed. East Orange Municipal Court – Reckless Driving. DWI Dismissed. Manchester Municipal Court – Unsafe Driving. DWI & Reckless Driving Dismissed. Woodbridge Municipal Court – Reckless Driving. DWI dismissed. Winslow Municipal Court – Reckless Driving, DWI – Dismissed. Hamilton Municipal Court – Reckless Driving, DWI – Dismissed. Ocean Municipal Court- Reckless Driving, DWI – Dismissed. Readington Municipal Court – Speeding, DWI – Dismissed. West Windsor Municipal Court – Reckless Driving & Speeding. DWI Dismissed. Old Bridge Municipal Court – Reckless Driving, DWI – Dismissed. Highlands Boro. Municipal Court – Reckless Driving, DWI – Dismissed. Howell Township Municipal Court – Reckless Driving. DWI and Open Container Dismissed. Aberdeen Township Municipal Court – Reckless Driving, DWI – Dismissed. Freehold Township Municipal Court – Reckless Driving, DWI – Dismissed. Howell Township Municipal Court – Leaving the Scene, DWI – Dismissed. Monroe Township Municipal Court – Careless Driving, DWI – Dismissed. East Brunswick Township Municipal Court – Reckless Driving, DWI – Dismissed. Howell Township Municipal Court – Reckless Driving, DWI – Dismissed. Middletown Township Municipal Court – Reckless Driving, DWI – Dismissed. Monroe Township Municipal Court – Reckless Driving, DWI – Dismissed. Neptune Township Municipal Court – Reckless Driving, DWI – Dismissed. Howell Township Municipal Court – Reckless Driving. DWI Dismissed. Galloway Township Municipal Court – Reckless Driving. DWI Dismissed. West New York Municipal Court – Reckless Driving. DWI Dismissed. Union Beach Municipal Court – Reckless Driving. DWI Dismissed. Old Bridge Municipal Court – Leaving the Scene, DWI – Dismissed. Linden Municipal Court – Careless Driving, DWI – Dismissed. Ship Bottom Municipal Court – Reckless Driving, DWI – Dismissed. Pohatcong Township Municipal Court – Refusal, DWI – Dismissed. Margate City Municipal Court – Defendant’s Motion to Suppress Granted. DWI – Dismissed. My name is Matthew Reisig. I am a New Jersey DWI attorney who has earned a state-wide reputation among other DUI defense attorneys, law enforcement and prosecutors because of the success I’ve had in the courtroom….for my clients. That’s what matters, right? Most people want to know what their lawyer can do for them when it’s their day in court. Over the years I’ve done so well in court for my clients, I’m one of a handful of NJ DUI attorneys who regularly defends DWI’s in all of New Jersey’s 21 counties. In fact, I’ve defended contested DWI trials in all of NJ’s 21 counties. No other DWI lawyer makes a similar claim in their advertising. How can a DUI attorney in the center of the state be retained by clients from all over the state? I’m very, very good at what I do. I, and my associate attorneys, Luke C. Kurzawa & Michael H. Ross, put everything we have into representing our clients, from start to finish. And when that happens, word spreads. In fact, I’ve helped so many clients with their DWI defense, I’m asked regularly to speak at seminars for other attorneys and judges on the fine points of defending DUI cases…. and I was the first DWI Lawyer to argue the new Alcotest before the New Jersey Supreme Court, which means I know the strongest DWI defense strategies to counter DUI breath tests. I’ve even co-authored two books related to DUI Witness Preparation and DUI Drug Defense that are sold on Amazon. 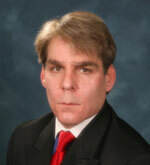 And I’m currently writing the definitive book on New Jersey DUI Defense which is expected to be published shortly. If you want to fight your DUI or drunk driving case, please make sure you hire the best DWI attorney you can. 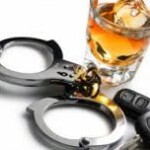 Do your homework and make an informed choice when you need a DWI Lawyer in New Jersey. And before you make that choice, call me at 732-625-9660 or 1-888-628-8394 if the call is long distance…and lets discuss your case and what I can do as your DUI lawyer The call is free. Why Should You Call Reisig Criminal Defense & DWI Law, LLC If You Have Been Arrested For Drunk Driving? Several years ago, a NEW breathtesting device called the ALCOTEST was introduced in New Jersey. It has replaced the breathalyzer. There were only 4 principal defense lawyers who appeared in the landmark reliability case concerning this new breathtesting device. State vs. Chun, 194 N.J. 54 (2008). Mr. Reisig was one of them and was the first DUI Attorney in NJ attorney to argue the Alcotest case before the New Jersey Supreme Court on April 5, 2007. 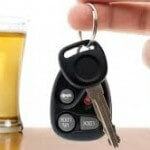 Most DUI’s in New Jersey involve use of the Alcotest to prove a motorist’s guilt. Mr. Reisig spent 2 years of his practice in the Chun reliability hearings. Obviously his knowledge of this device dwarfs that of nearly every other Driving While Intoxicated defense attorney in New Jersey. An individual charged with DUI should hire a DWI attorney who actually understands how the Alcotest works. To repeat, there were only a select handful of attorneys who were actually in the Chun hearings. Mr. Reisig was there every day fighting for his client’s rights. So why not put that experience to work on your Drunk Driving case and get some of the best defense help available in the state. REISIG CRIMINAL DEFENSE & DWI LAW, LLC., OFFERS FREE TELEPHONE AND OFFICE CONSULTATIONS AT 732-625-9660. While evey DUI case is uniquely different and no ethical attorney can guarantee results, NJ Drunk Driving Attorney Matthew Reisig has one of the best track records in the State for successful defense for his clients arrested for Drunk Driving. Contact us for a free consultation and see what a professional DWI Lawyer do for you after a drunken driving arrest. Don’t take the seriousness of this charge for granted, it can affect the rest of your life. 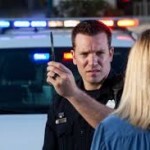 Call a New Jersey DWI Attorney that gets results today! Take a moment to review what you’re facing and what your DUI Attorney has to beat in order for you to walk away with no conviction.